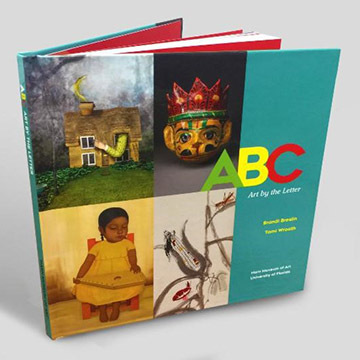 The Harn Museum offers programs and resources for audiences of all ages. your own work of art. through a lecture, talk or tour. 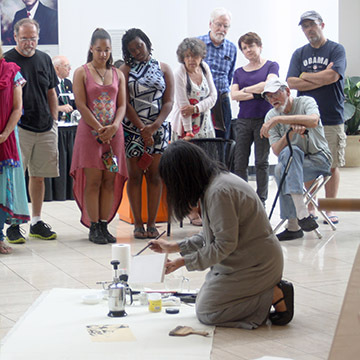 The Harn offers fun and vibrant ways to connect with art. There are opportunities for all ages from toddlers to senior citizens. Learning opportunities introduce visitors to art and cultures from around the globe, while also allowing them to explore the pressing issues of our time. 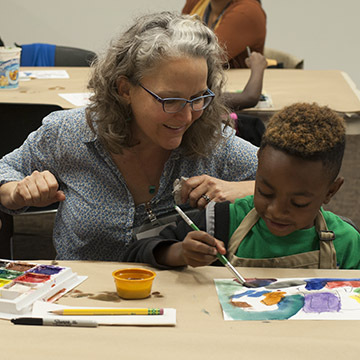 Early Learning at the Harn is a school and museum-based program for pre-K and kindergarten children to promote visual literacy, vocabulary development and individual expression, especially for children of low-income families who face an educational achievement gap. The program features multiple components that include teacher workshops, in-class lessons, museum field trips, and school-based family programs. Admission to the Harn is free. Donations, endowments, facility rental income and Harn Store profits assist in the Harn’s success. Your support is crucial and directly enhances our programming and the impact we have on our visitors. Donate today.